Every third Wednesday of the month we hold an open social gathering. 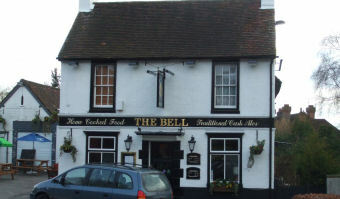 This will either be an informal 'Noggin and Natter' at The Bell public house, where members have the opportunity to discuss all things motorsport or for example a quiz or film night. Alternatively an organised activity may be arranged such as ten pin bowling or a visit to a local motorsport related business. *** PLEASE SEE 'UPCOMING SOCIAL EVENTS' PAGE FOR A FULL LIST OF WHAT'S HAPPENING. ***DO YOU WISH TO ORGANISE A SOCIAL EVENT? If you have any ideas for future social events and wish to have a go at organising please contact Russ Giddings Tel: 07739 178413 . We will be happy to advertise it on these pages for you. We are having a change of venue for our 2018 Annual Awards dinner. This year we will be at the Brands Hatch Place Hotel, Brands Hatch Road, Fawkham, Kent DA3 8NQ (Sat-nav postcode: DA3 8PD). A special room rate of £150 for a room including breakfast has been secured. Booking forms and menus are available here for download. An online booking form is also available here.